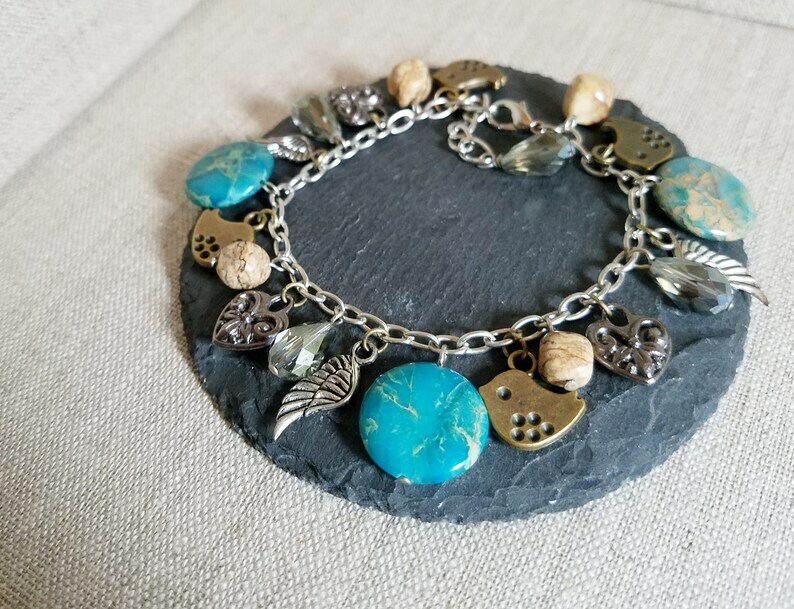 Beads: Crystals Glass beads, Ocean Jasper Round Coins, Silver Plated Angel Wing Charms, Gunmetal Heart Charms, Picture Jasper Nuggets. Colors: Earthy tones of beige, gray, blues and greens. Size: 7,25 inches, extends to 8 inches (if you have fallen in love and wish it to be smaller or larger this can be accomplished at no extra cost).